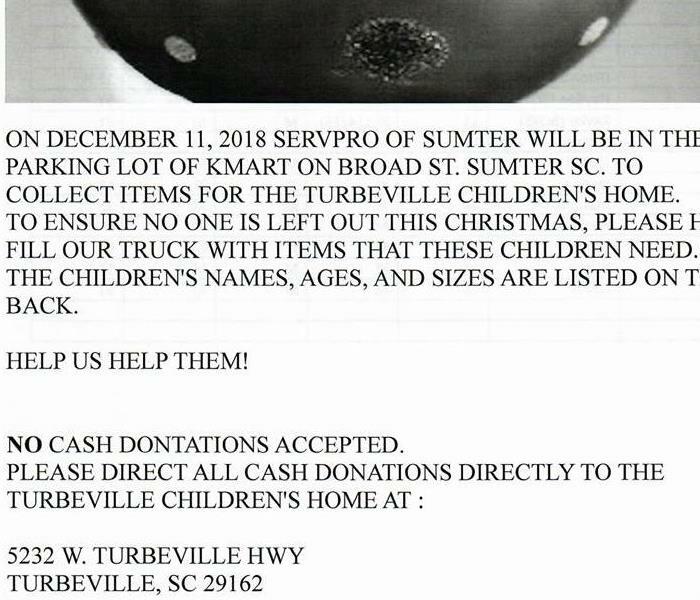 Trevon was born and raised in Sumter, Sc. He graduated from Lakewood High School and attended college at Pikeville College in Kentucky. He enjoys playing football and mentoring young adults to work hard and be respectful. Buddy has been with SERVPRO of Sumter for 6 years. He recently moved into the office as Auditor and Business Development from Production Crew Leader. 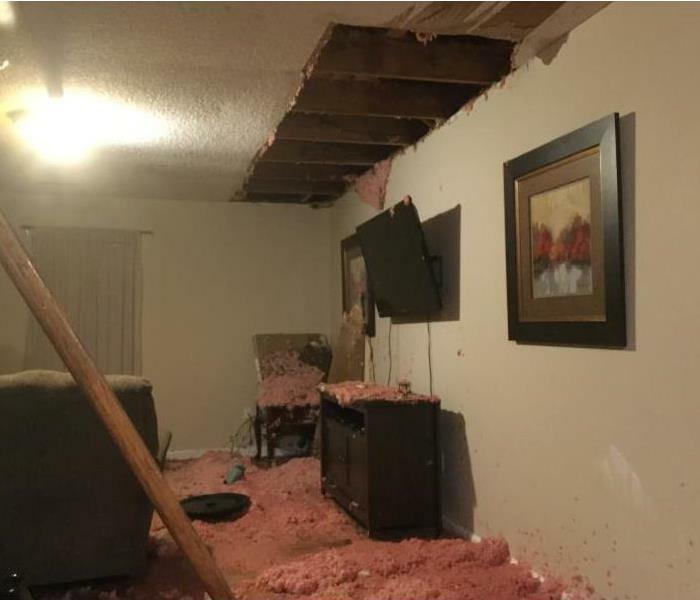 He is an IICRC Certified Water Restoration Technician as well certified in Asbestos. When Buddy is not working he enjoys helping others. 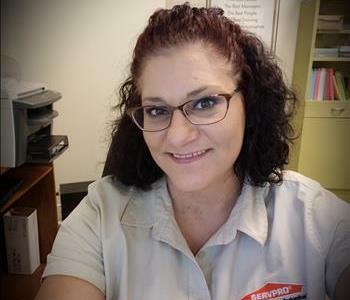 Marcia joined SERVPRO of Sumter in 2016 as our Estimator and Auditor. She is now the Office Manager as well as Marketing Manager. Marcia is also an IICRC Certified Water Restoration Technician. In her spare time she loves to cook, play darts, and hang out with her family. Shaun has been with SERVPRO of Sumter for over 5 years. He was born and raised in Sumter, SC and is a graduate of Lakewood High School. 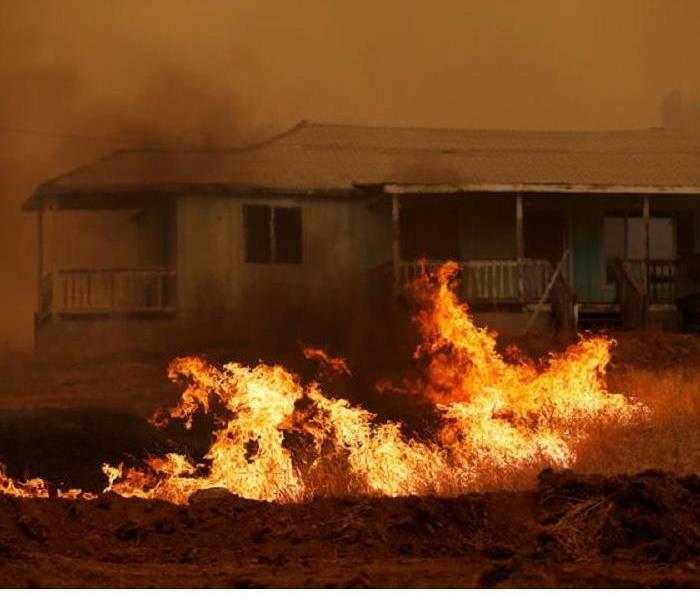 Shaun holds certifications in IICRC Water Restoration and Asbestos. His recent promotion has earned him the title of Production Manger. Mike comes to us with over 4 years in restoration experience and is IICRC certified. He was born and raised in Sumter, SC and is a graduate of Crestwood High School. Besides restoration experience, Mike is also an experienced Mechanic. Off the clock Mike enjoys being with his wife and son, and being outdoors. Duck has recently moved back to the area from Florida. He brings with him mechanical knowledge as well as a great work ethic. 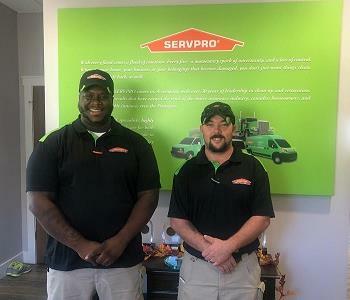 He is proving to be a great fit here at SERVPRO of Sumter. When he isn't working, he enjoys spending time with his family. 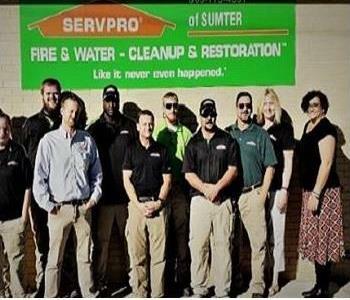 SERVPRO of Sumter crew back row left to right is Mike Hooks, Trevon Smith, Shaun Brown, Angie Prushan. Front row left to right is Katlyn Bell, George Newell, Al Laney, Donald Howard, Lee Prushan, and Marcia Bays. Trevon and Duck at IICRC Water Class getting certified in water damage restoration to be able to provide the best service possible to our valued clients in Sumter and the surrounding areas. 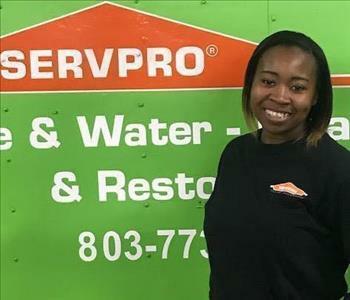 Gloria is a crew member at SERVPRO of Sumter and is a very strong-minded and motivated person. Gloria is always smiling and upbeat. She enjoys many different activities that allow her to live life to the fullest. 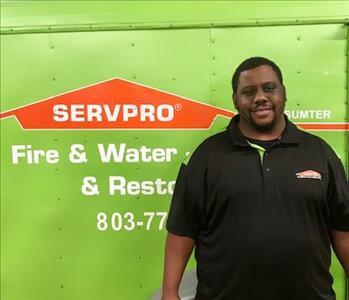 Eric is a crew member at SERVPRO of Sumter. He has been with the company for several months. 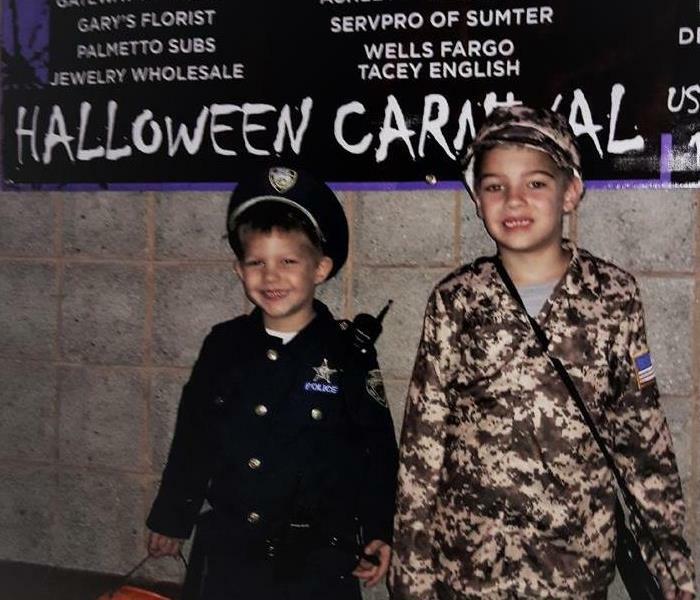 He was born and raised in Charleston and attended North Charleston High School where he graduated in 2004. in his free time he enjoys football and spending time with his children.